We welcome visitors and potential new members. We teach the vocal skills and performance techniques needed to sing four-part a cappella harmony in the barbershop style. We strive every week to sing a little better and laugh a little bit (or a lot!) - and usually accomplish both! The Harmonizers are a men's chorus from the Ann Arbor and Ypsilanti, Michigan area focused primarily on barbershop-style four-part harmony. We are members of the Pioneer District (Michigan and Southern Ontario) of the Barbershop Harmony Society—the largest men's singing organization in the world. We welcome visitors and new members, teaching the vocal skills and performance techniques needed to sing a cappella harmony in the barbershop style. We meet every Tuesday night at Stony Creek United Methodist Church. If you would like to come see us (to sing or just to sit and listen), please see the map on our Visit us page. We would love to perform at your next event! We have a diverse and entertaining repertoire which pleases our audiences and members alike. We produce and perform shows which are exciting and touching, always highly professional, always leaving our audiences highly entertained. If you are interested in information on how to get the Harmonizers to perform for you, your loved one, or your organization, please contact us at info@hvharmonizers.org, or call our Harmony Hotline, (734) 796-7467! 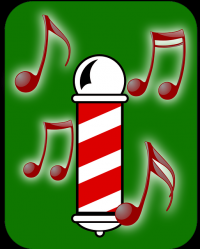 The Harmonizers will be away from Stony Creek church this Tuesday, April 24th, as we pay a visit to a fellow barbershop chorus in Monroe to spend an evening singing with them. But please drop in and join us for our regular Tuesday night chapter meetings any other evenings. We'd love to have you stop by to listen or to sing! Donate to the Huron Valley Harmonizers! The Huron Valley chapter of the Barbershop Harmony Society is a non-profit 501(c)(3) organization. Donations made to our group are spent to create more opportunities for ALL men in our community to sing and enjoy the camaraderie and community service of this fine organization.